Illustration Only : Uqbah holding the rein of Rasulullah 's camel. "The full moon has come upon us. From beyond the hills of Thaniyaati-l Wada Grateful we must be. For what to God he calls? O you who has been sent among us? You came with a mission to be obeyed. You came, you honored the city; Welcome, O best of those who call (to God). 'Will you accept my pledge of allegiance, O Rasulullah SAW?' 'And who are you?' asked Rasulullah SAW. 'Uqbah ibn Amir al-Juhani,' I replied. 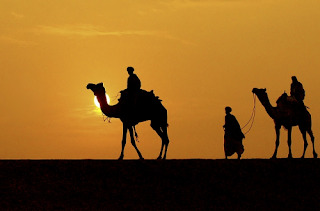 'Which do you prefer,' he asked, 'the pledge of a nomad or the pledge of someone who has migrated?' 'The pledge of someone who has migrated,' I said. So Rasulullah SAW took the same pledge from me as he did from the Muhajirin. I spent the night with him and then went back to my flock. 'Woe to you! Is it because of a flock of sheep that you remain thin and wretched and lose the opportunity to be in the company of Rasulullah SAW and to speak directly to him without an intermediary':' With this, I left my flock, went to Madinah and stayed in the masjid close to the Messenger of God, may God bless him and grant him peace." Uqbah had no reason to regret having taken this fateful decision. Within a decade, he had become one of the outstanding scholars among the companions of Rasulullah SAW, a competent and beautiful reciter of the Quran, a military commander and later on one of the eminent Muslim governors as Islam spread east and west with astonishing rapidity. Uqbah ibn Amir Al-Juhani RA. could never have imagined as he left his flock to follow the teachings of the noble Rasulullah SAW, that Uqbah ibn Amir Al-Juhani RA he would have been among the vanguard of the Muslim forces that liberated fertile Damascus - then known as the "mother of the universe" and that he would have a house for himself among its verdant gardens. Uqbah ibn Amir Al-Juhani RA could never have imagined that he would be one of the commanders who liberated Egypt, and then known as the "emerald of the world", and that he would be one of its governors. The fateful decision however was taken. Alone without possessions. Or relatives, Uqbah ibn Amir Al-Juhani RA came to Madinah from the ba'wadi. Uqbah ibn Amir Al-Juhani RA stayed with others like him on the Suffah or elevated part of Rasulullah SAW mosque, near his house. The Suffah was like a reception point where people like Uqbah would go because they wanted to be close to Rasulullah SAW. 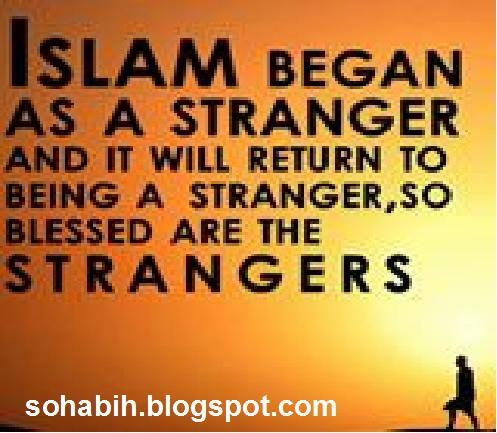 They were known as the “Ashab as-Suffah" and Rasulullah SAW once described them as the "guests of Islam". 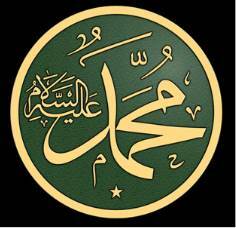 'Every one of us would like that, O Messenger of God,' we all replied. 'Now,' Uqbah ibn Amir Al-Juhani RA said, 'each one of you should go to the mosque and learn two ayats (verses) of the Book of God. This is better for him than two camels; three verses are better than three camels; four verses are better than four camels (and son)." On other occasions, the Ashab as-Suffah would ask questions of Rasulullah SAW in order to understand their religion better. 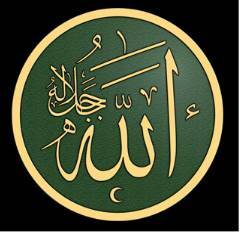 Once, Uqbah said, he asked Rasulullah SAW, "What is salvation?" 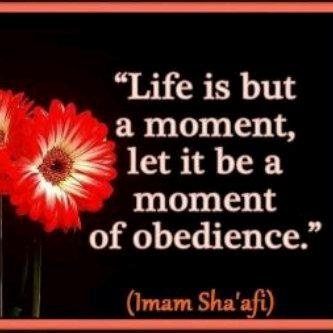 and he replied: "Control your tongue, make your house spacious for guests and spurn your mistakes." "I took hold of the reins of Rasulullah SAW’s mule while passing through some palm groves of Madinah. 'Certainly, O! Rasulullah SAW,' I replied. 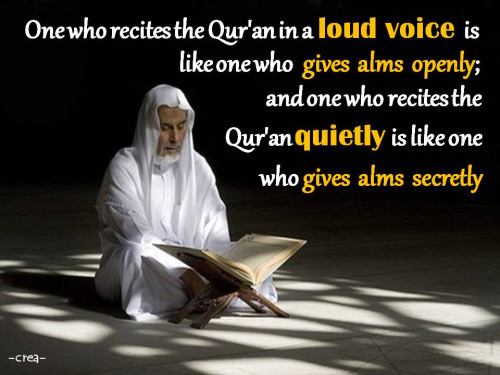 And so he recited to me "Qul a'udhu bi rabbi-l Falaq" and "Qul a'udhu bi rabbi-n nas" (the last two surahs of the Quran). I then said the Iqamah for Salat. Rasulullah SAW led the Salat and recited these two surahs. (Afterward), he said: 'Read both these surahs when you go to sleep and whenever you wake up.'" The above instances show "continuous education" at its best, at home, in the mosque, riding, walking in the open school of Rasulullah SAW. "Recite for me something from the Book of God, O Uqbah." "At your command, O Amir al-Muminin," said Uqbah and began reciting. Saidina Umar Al Khattab RA wept till his beard was wet. Uqbah ibn Amir Al-Juhani RA left a copy of the Quran written in his own hand. It is said that this copy of the Quran existed until quite recently in Egypt in the well-known mosque named Uqbah ibn Amir Al-Juhani RA himself. At the end of this text was written: "Uqbah ibn Amir al-Juhani wrote it." This Mushaf of Uqbah was one of the earliest copies of the Quran in existence but it was lost in its entirety with other priceless documents due to the carelessness of Muslims. An indication of Uqbah's enthusiasm for jihad is the fact that he committed to memory the sayings of Rasulullah SAW on this subject and became a specialist in narrating them to the Muslims. One of Uqbah ibn Amir Al-Juhani RA favorite pastimes was to practice the skill of spear throwing. Uqbah ibn Amir Al-Juhani RA was in Egypt when he became fatally ill. Uqbah ibn Amir Al-Juhani RA gathered his children together and gave them his final advice. He said: "My children, guard against three things: Don't accept; my saying attributed to Rasulullah SAW, except from a reliable authority. Do not incur debts or take up a loan even if you are in the position of an imam. Don't compose poetry for your hearts might be distracted thereby from the Quran." Uqbah ibn Amir Al-Juhani RA was buried at the foot of the hill Al Muqaththam. After they check his legacy, among others, there are seventy-seven bows. Each arc has a horn (as the arrows). 'Uqbah intestate, so bow-bow was used by the Muslims in jihad fi sabilillah. May Allah bestow light to face ' Uqbah ibn Amir Al-Juhani RA, a reciter. 'Alim and warlords. 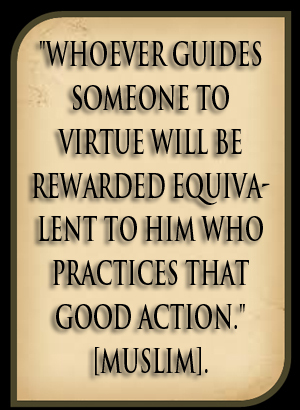 And may Allah give reward to reward excellent. Amen!!! That Rasulullah SAW said: whoever makes a vow and does not state it specifically, the expiation (for such a vow) is the expiation for breaking an oath. " Following video about the last two verses from Surah Al Baqarah. The Tomb of Uqbah Ibn Amir Al Juhani RA in Egypt.